Guest post by fellow 'Non-Housewife,' Kelly! 1 roll of full sheet paper towel, cut in half, width wise. I use Bounty because it's strong. I've tried other cheaper brands and they just fall apart when using. 1 Rubbermade 15 cup/ 3.5 L sealing container. You can get them at most stores, just size it up to make sure the paper towel can fit. 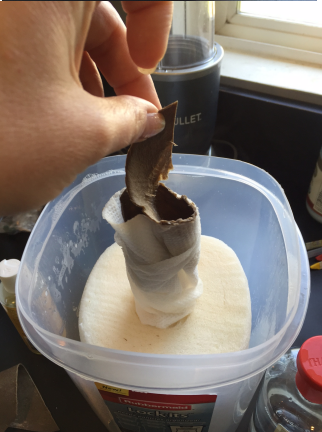 Pour over halved paper towel in container, making sure to saturate all areas of the top of the roll. Place lid on and wait for a couple minutes. The hot water mixture will melt the adhesive on the cardboard roll. Pull out cardboard roll and that should start the wipes pulling up form the inner circle. What's awesome about buying all these ingredients? You can use them each for multiple uses! Castile soup - body wash for you, baby, children, the dog, anyone! Wash fruits and veggies, use as a household cleaner. Witch Hazel - Toner on face for anti-aging and even skin tone, treat insect bites, prevent ingrown hairs, sooth puffy eyes, stop ear infections from developing. Vitamin E - Use on skin to heal and prevent free radical damage, heal scars, add shine to hair. I started making these for my son when he was an infant. He has only had a diaper rash once (when we switched to solid foods.) I do not use them for travel or in my diaper bag, as you can imagine, it's just easier to use and transport store bought wipes in a travel pack. I also use these wipes on my face, hands and my own bum....they have many uses! Enjoy! 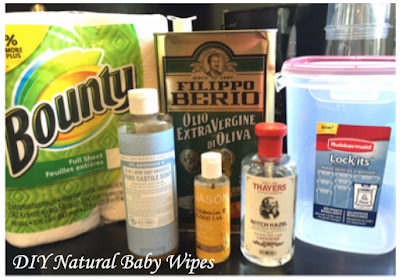 Do you make your own baby products? If so, please share below! Thank you for the natural recipe. I'd never heard of Castile soap before. Should try it on my dogs! It's nice to know there is this alternative to purchasing baby wipes. Plus, it seems like any product made in mass these days contains alcohol, which I think could dry out your or your baby's skin. Interesting, I never even thought about DIY baby products. I've heard of witch hazel too but haven't used it. Interesting. I'll have to send this post to my daughter. She has a little one, and might give them a try. This is great! Making your own natural products is so nice. I'm definitely going to store this recipe and use it on our travels next year. This is great DIY project/recipe. Thanks for sharing this. Might try this too soon. With how expensive baby products can be and all the chemicals used in mass production this really does seem like a nice option for people to try out. 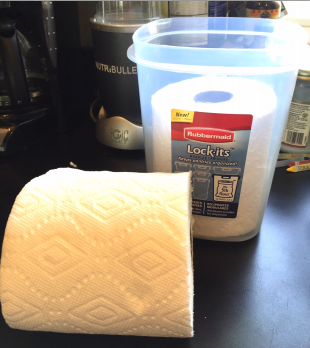 baby wipes are very good to use..
Hey Kelly, Thanks a lot for sharing such a valuable post. We all want some natural and hygienic baby products so that there won't be any skin risk to our baby. Your homemade baby wipe seems quite good and the ingredients are also available. We'll definitely try it for our baby. Using the market products may be little risky for newborns. Visit here to know more about it.